Representatives from the Hoffman-Madison Waterfront team, political leaders, and neighborhood residents gathered in a large tent at the site of the former Kastles Stadium this morning for a groundbreaking ceremony to start construction on The Wharf project along the Southwest Waterfront. 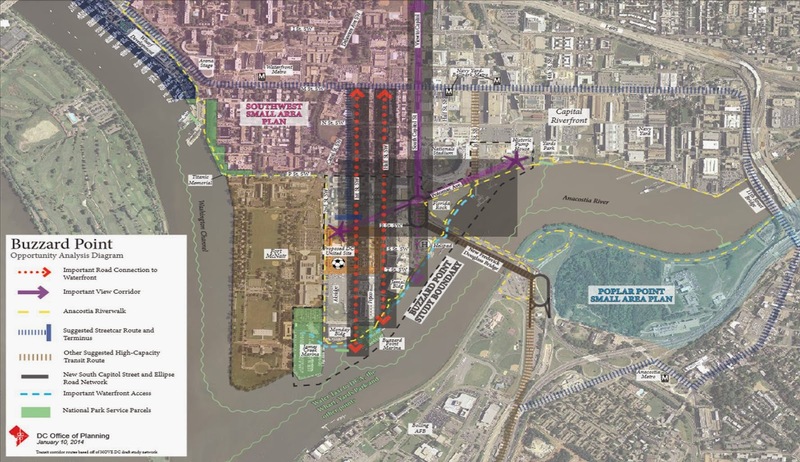 This day has been a long time coming…more than eight years have gone by since Hoffman-Madison Waterfront first began the process, which included countless community meetings, seven DC Council votes, three acts of Congress, and one Great Recession, but groundbreaking is here at last. By next year, eight cranes will become a fixture along the waterfront to join the 57 other tower cranes across the city. Sustainability – The Wharf will be LEED-Gold certified and will have a cistern system that will be able to handle up to two inches of rainwater, along with a co-generation plant that will provide electricity to the parking garages. Inclusiveness – Over 200 units will be set aside as affordable housing for a variety of income levels, starting as low as 30% of AMI. The Lower 30 Feet – The designers took great care in the pedestrian experience by designing the lower levels on a human scale. Keep Bufus! – King Ribs was the first vendor to appear on the waterfront and will remain once the project is complete – Bufus’ barbecue was available for all to enjoy after the groundbreaking ceremony, along with food from other waterfront establishments, including Cantina Marina, Jenny’s Asian Fusion, and Captain White’s Seafood. After the speeches, the VIPs went outside in the rain and ceremoniously turned some dirt that was set up for the event. The waterfront setting allowed for the John Glenn water boat from the fire department to spray water along the Washington Channel following the photo-op. The program ended with a catered lunch and live music from a jazz band. Despite the rain, it was a well-attended event, which several of the speakers noted, including Gray and Bowser. After all, this is a $2 billion development in the Little Quadrant That Could (Can). 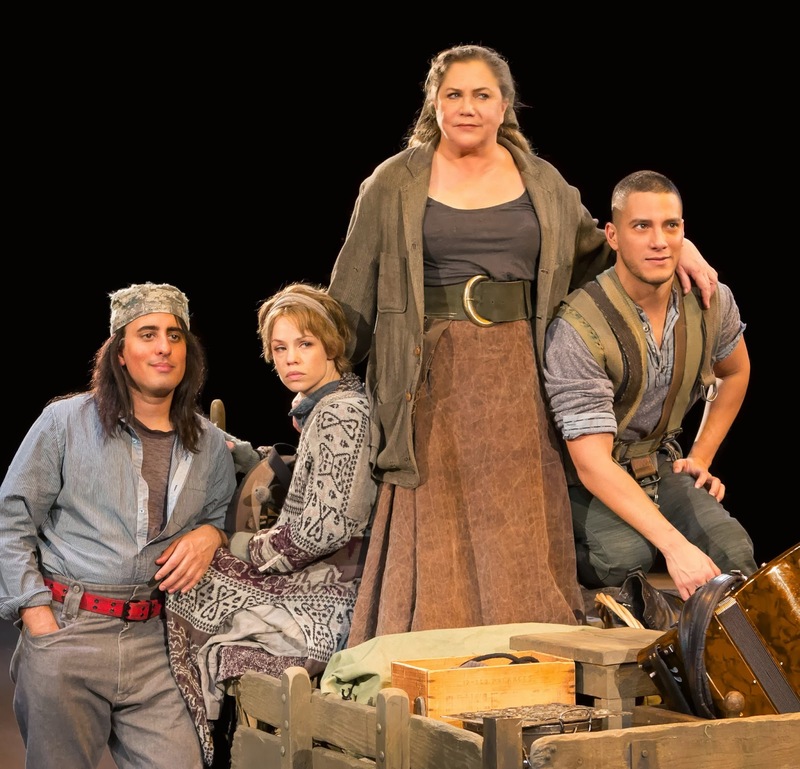 This weekend is your last chance to see Kathleen Turner as Mother Courage in Bertolt Brecht's Mother Courage and Her Children at Arena Stage, directed by Artistic Director Molly Smith. Turner gives a powerful performance as the "tough as nails" matriarch who struggles to keep her children and business alive during the 30 Years War. Nicholas Rodriguez (from The Light at the Piazza, Oklahoma! and My Fair Lady) plays the eldest son Eilif, Nehal Josef (from Señor Discretion Himself, Oklahoma! and The Music Man) plays Swiss Cheese, and Erin Weaver (in her Arena Stage debut) portrays Kattrin. At two hours and 30 minutes, the performance seems a bit long, but still worth the time to go see if you can. There are two performances today and two tomorrow in the Fichlander Stage. Tickets are available here. 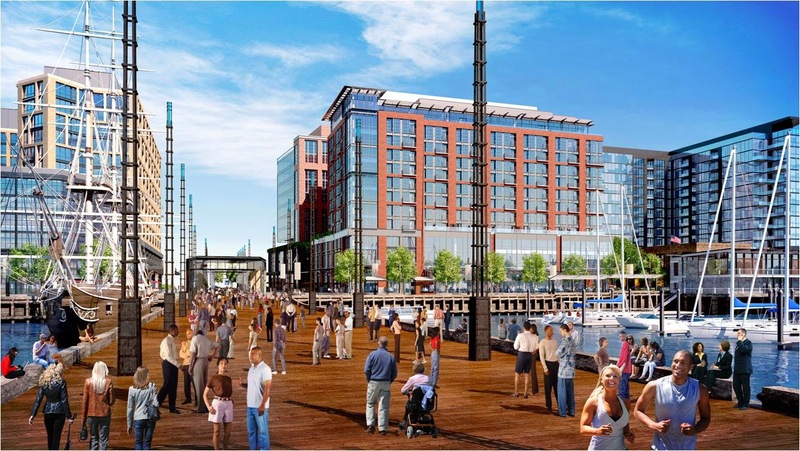 The Wharf development is featured on the cover of this week’s Washington Business Journal (subscribers only). A timeline showing how the project has progressed over the past 10+ years is presented, as well as a description of each of the parcels to be developed. A groundbreaking ceremony is supposed to occur sometime this month (it’s election season of course, so it has to happen soon). 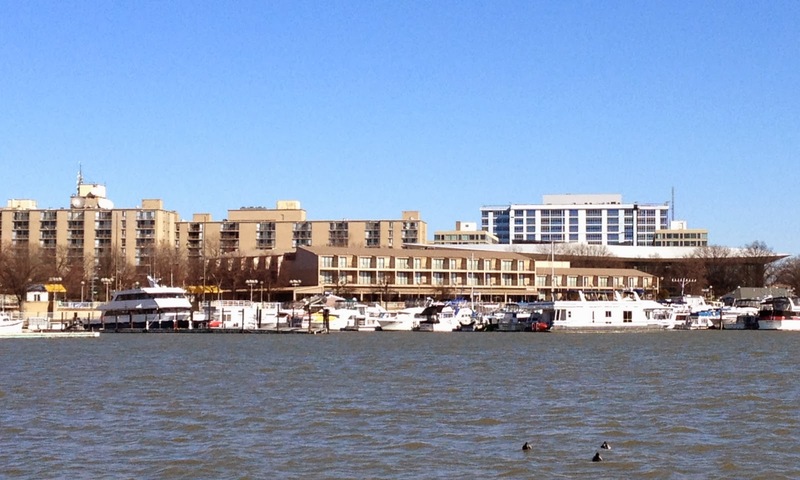 On a related note, PoPville reports that the Channel Inn will close at the end of March, which is more than a month before the May deadline it was given by Hoffman-Madison Waterfront. As reported last month, the Channel Inn will be used as office space for the construction team and the Capitol Yacht Club will move its operations there. In addition, Jenny’s Asian Fusion may open a small restaurant in the Channel Inn space that would include breakfast. A building permit was issued recently for the conversion. 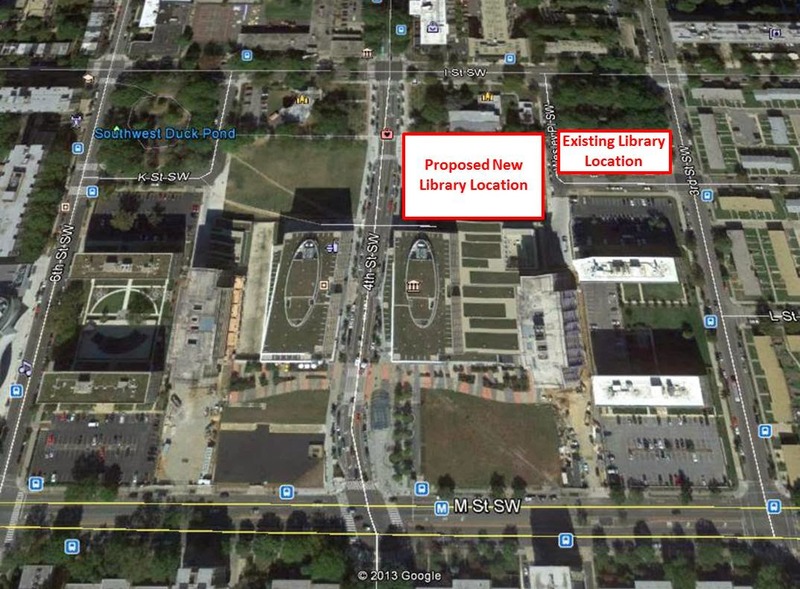 The Office of Planning will be undertaking an Urban Design Framework for the Buzzard Point neighborhood in anticipation for the new DC United stadium planned for 2nd and R streets. An Opportunity Analysis Diagram was sent in the monthly SWNA newsletter that shows certain elements that should be taken into consideration when re-imagining the neighborhood. 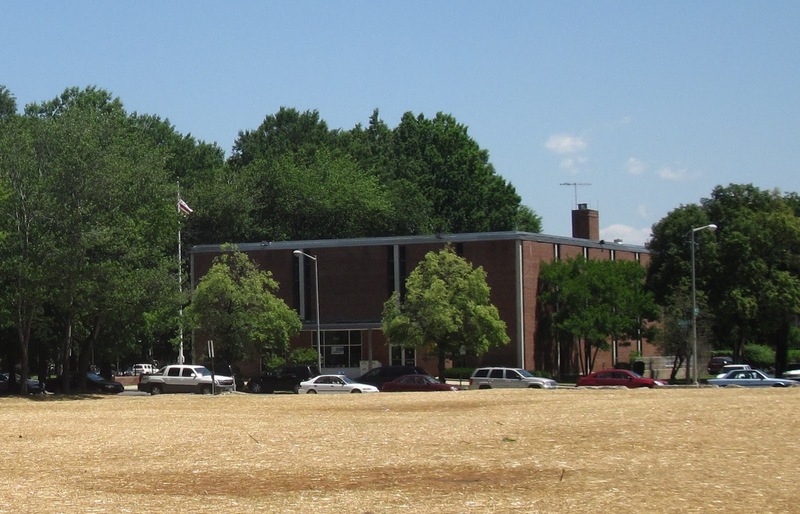 Most of the southern portion of the study area is industrial in nature while some public housing and private homes are in the northern portion near P Street. A public kick-off meeting will be announced soon. The last time a plan was done for the area was the Buzzard Point Planing Assistance Team (PAT) back in 2009. 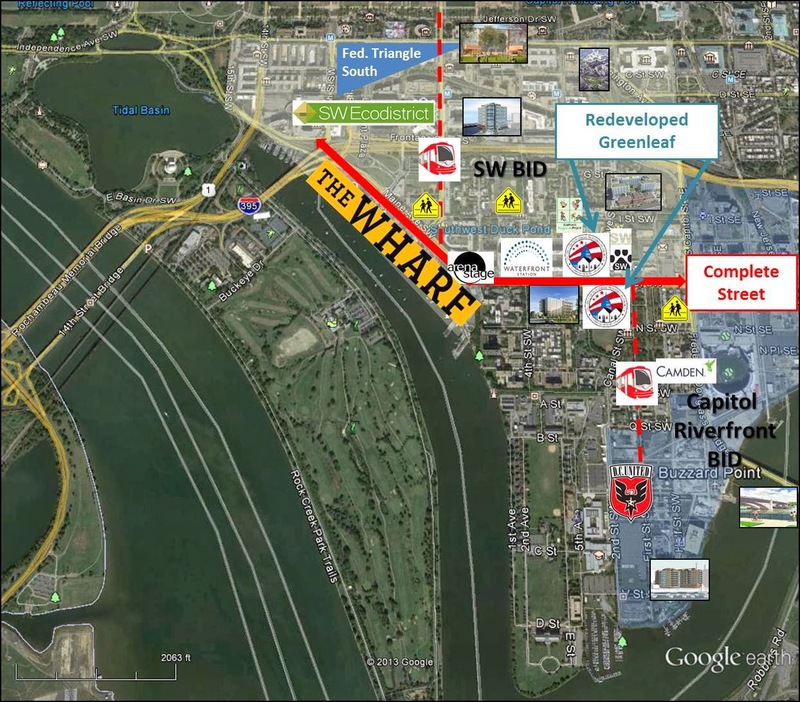 Do you support the current plan between the District and DC United for a soccer stadium in Buzzard Point? Vote in the poll on the left sidebar of the blog. Blind Whino: SW Arts Club will be hosting a free reception on Saturday, March 22 from 8-11pm to kick start Art Without Borders 2014, which is a custom vinyl art exhibit raising awareness and funds for the Doctors Without Borders Organization. The arts club is located in the former Friendship Baptist Church at 734 1st Street. After the reception, the exhibit will be on display until April 22 at the Art Whino Gallery at National Harbor. RSVP for the reception here. 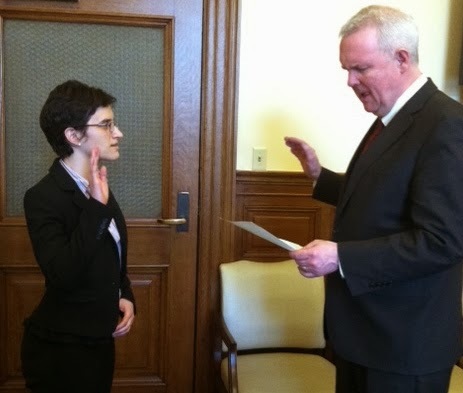 Southwest resident Stacy Cloyd will serve the remainder of former ANC Commissioner Ed Kaminski’s term as the representative from single member district 6D-02, which is the only single member district that spans both sides of South Capitol Street. There were two candidates that had signed petitions in order to run for the vacant seat, but Cloyd was the only one whose petitions were validated by the Board of Elections. Cloyd was sworn in yesterday by Ward 6 Council member Tommy Wells at his office in the Wilson Building. She joins Sam Marrerro and Rachel Reilly Carroll who have recently joined ANC 6D representing 6D-01 and 6D-03, respectively. 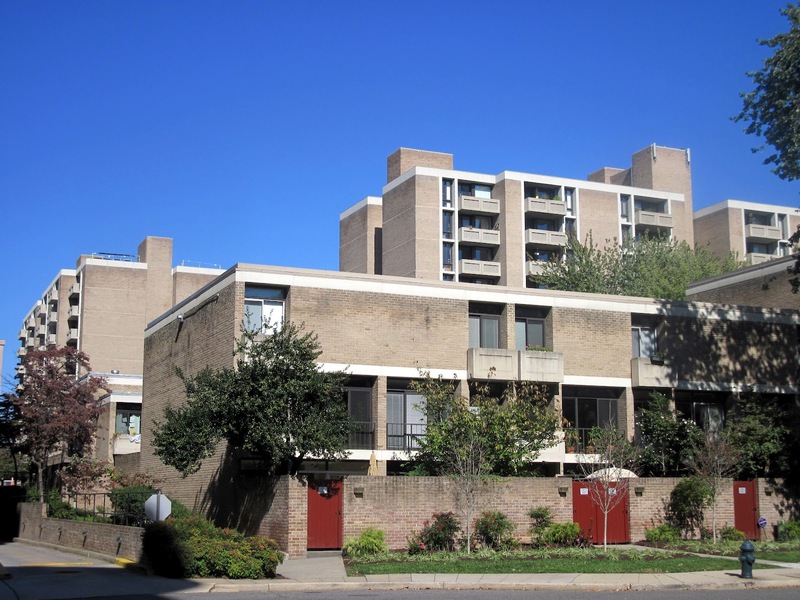 The next ANC 6D meeting will be on Monday, March 10 at 7pm. The agenda has not been released yet. DC United has created a website called Unite DC that explains the parameters of the deal between the city and the team to build a new stadium in Buzzard Point. 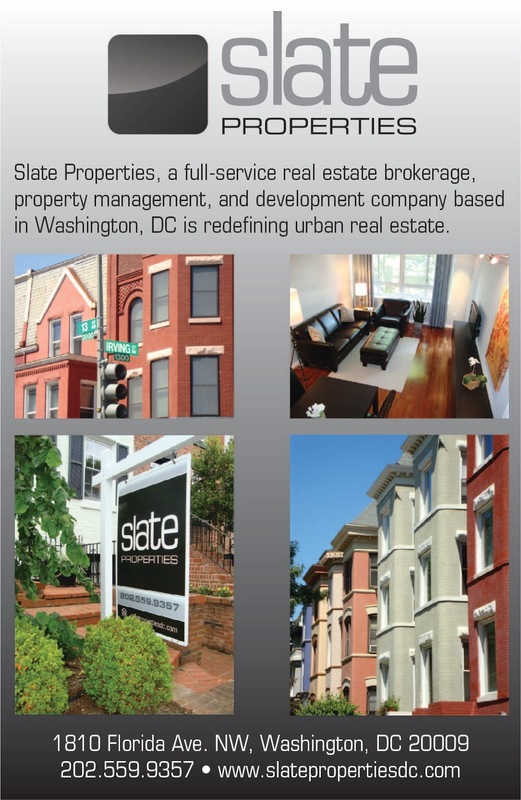 The website also allows those who support the deal to send a form email to the DC Council. 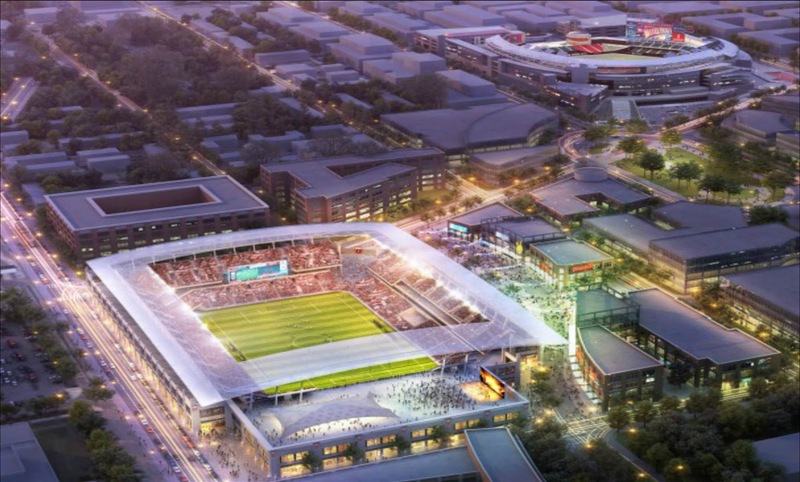 Update: 49% support stadium deal per WCP. The atrium at L'Enfant Plaza continues to take shape. Most of the glass has been installed on the atrium, which will serve as the new entrance to the revamped retail center. 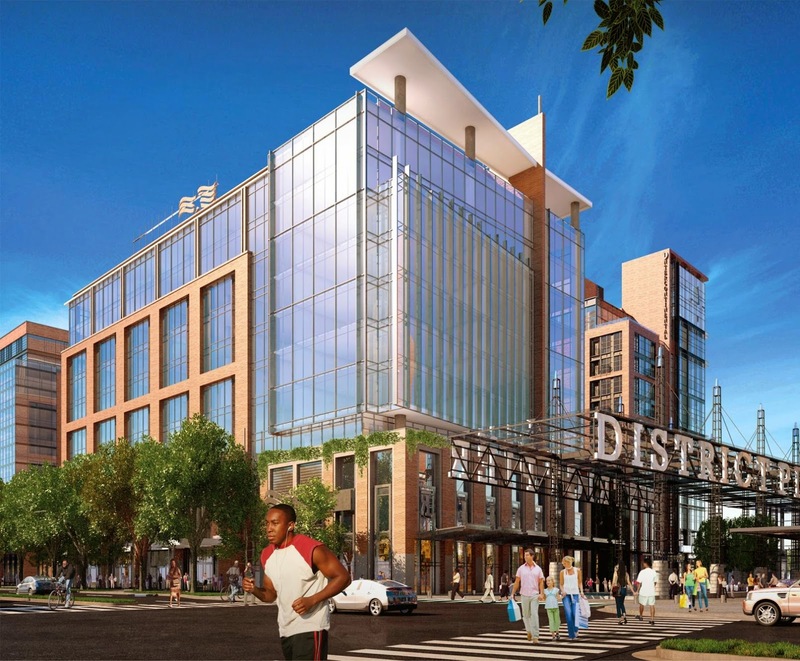 The area is a big construction zone, with the second phase of the retail center, northern office building, and the L'Enfant Plaza hotel closed for renovations. The second phase of the retail center is scheduled to open later this year. 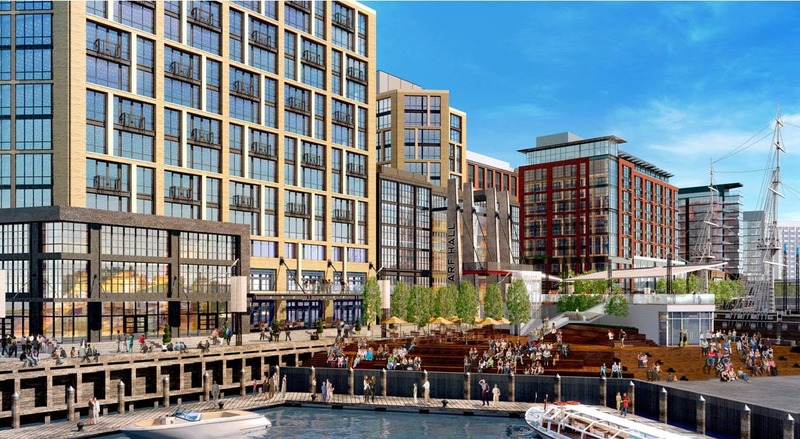 The Southwest Waterfront neighborhood makes it to number one on PoPville's random list of Top 13 Revitalizing DC neighborhoods that he'd buy a house or invest in if he had extra cash.